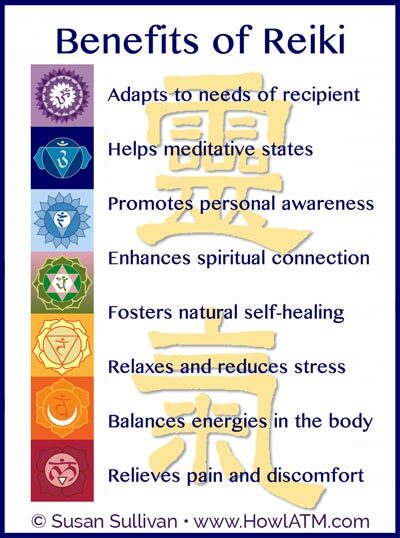 The simplest definition of the word Reiki is Universal or Spiritual (Rei) - Life Force or Energy (Ki). It is a simple and powerful system of energy work that anyone can learn to use for developing physical, emotional, mental and spiritual harmony and wholeness in themselves and for assisting others. The belief is that the energy will flow through the practitioner's hands whenever the hands are placed on, or held near a potential recipient. Some teachings stress the importance of the practitioner's intention or presence in this process, while others claim that the energy is drawn by the recipient's injury to activate or enhance the natural healing processes. The belief is that the energy is "intelligent", meaning that the Reiki knows where to heal, even if a practitioner's hands are not present in the specific area. When I speak of healing, a well physical body may be the first thing that comes to mind. However, the root meaning of the word healing is whole. The practice of healing is that of becoming whole on all levels of being, the physical, emotional, mental, and spiritual. Illness happens when the mind, body and spirit become unbalanced. True wellness is reached only by returning the entire being to harmony and balance, not only with itself, but with the Earth and the Universe. We begin healing by finding our desire to be well and whole. Without the motivation to be well and the intention to act in our own behalf we can not become well. Reiki is a means to empowering us to become whole in all ways. Although the use and practice of Reiki as a healing modality is an act that is spiritual by its nature, Reiki is not a religion. To receive it or to become a practioner you are not asked to change any religious or spiritual beliefs you may have. You are free to continue believing anything you choose and are encouraged to make your own decisions concerning the nature of your religious practice. Reiki energy works in harmony with many other forms of healing, including drugs, surgery, psychological care or any other method of alternative care. Reiki should not be used to replace conventional care or to postpone seeing a health care provider about a health problem. Reiki sessions are something to consider as a compliment to, but not a substitute for, working with your doctor. The ability to channel the specific healing energy functions we call Reiki is received from a process called Attunement. This is the process by which the Reiki teacher (Reiki Master) passes on the ability to channel the Reiki energy. This involves a process of clearing any blocks to Reiki in your aura and connecting you to the ability to run Reiki energy by means of a direct transmission to your energy body (aura). The attunement opens the palm chakras and energy channels, if this is needed, and connects you to the specific Reiki Shakti healing frequencies. The attunement also allows us to direct these energies for specific purposes. 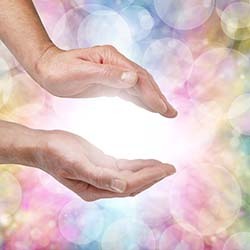 Attunement is usually given during instruction in the various techniques involved in practicing Reiki. Reiki is most often taught in three levels designated I, II and III, with III being the Master level. In level one people are taught basic techniques for hands on treatment for self and others. In Level two one learns techniques for remote healing and receives an attunement for using symbols to activate specific functions for mental and emotional healing and for increasing the connection and effect of Reiki. Level three adds a spiritual or intuitive healing energy function and the ability to attune others to use Reiki themselves. Become a Reiki Practitioner. After becoming a Reiki practitioner you do not diagnose others. You must take care not to alarm a client or to violate laws against diagnosis by non medical professionals. You can ask questions or suggest they see a Doctor about areas of concern.